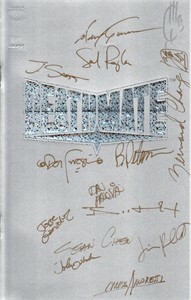 Deathmate 1993 promotional tour comic book autographed on the cover in thin gold paint by 14 artists and creators including John Ostrander, Brandon Peterson, Bernard Chang, Alex Garner, Sal Regla, Mark Moretti, Sean Chen, Jorge Gonzalez, Jeff Scott, Brett Booth and Jimmy Palmiotti. 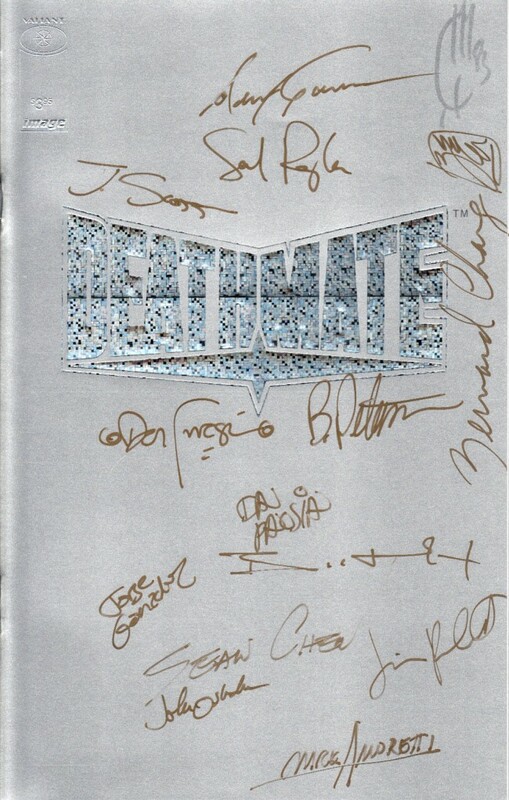 Also signed by Joe Quesada but in silver in the upper right corner so very hard to see, and two others that are unidentified. Obtained in person, with certificate of authenticity from AutographsForSale.com. ONLY ONE AVAILABLE FOR SALE.